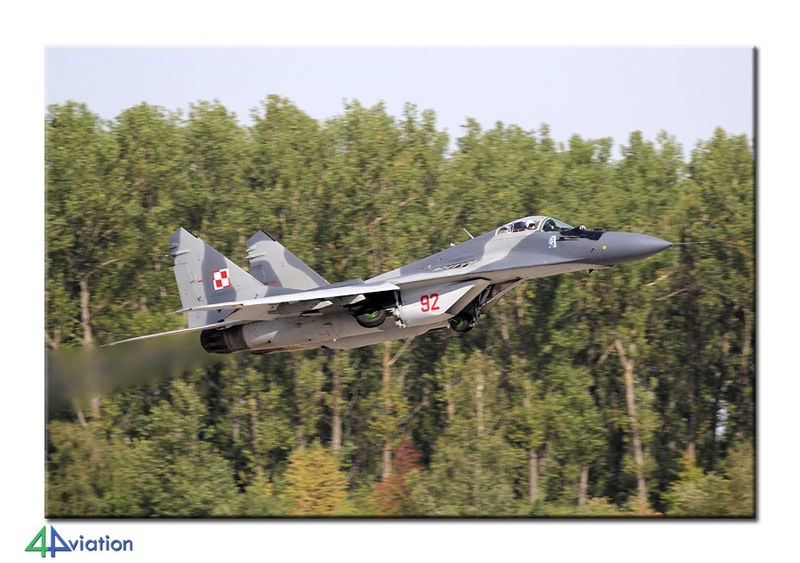 In August 2015 we travelled to the Radom Air Show in Poland again. 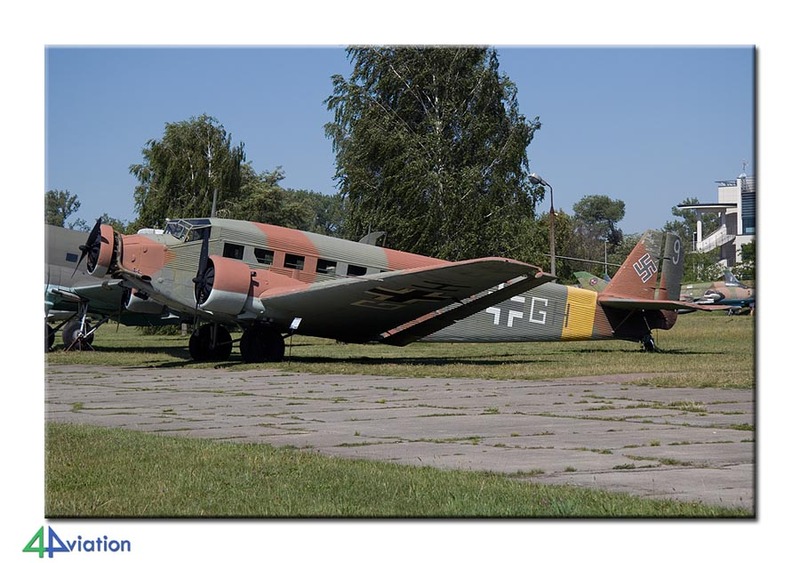 A very nice event that we could combine this time with a base visit to Mińsk-Mazowiecki. 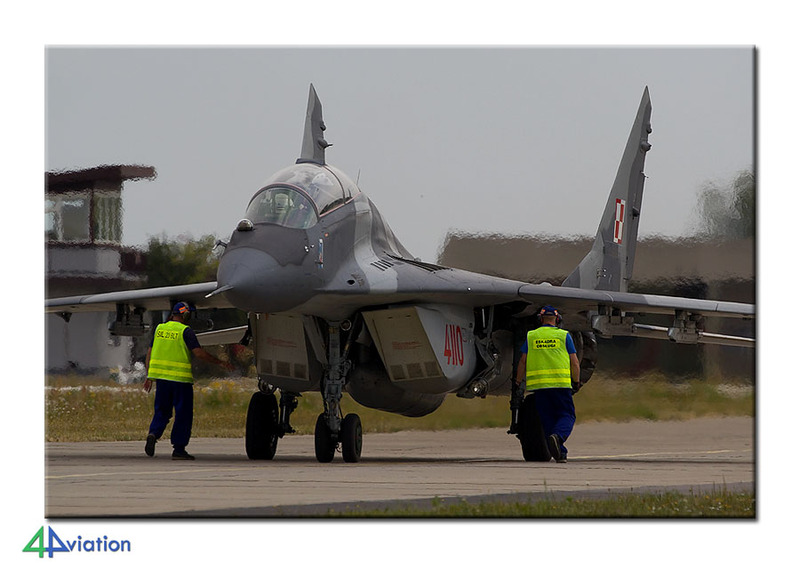 The third 4Aviation tour to Poland for the Radom Air Show started on Wednesday 19 August. 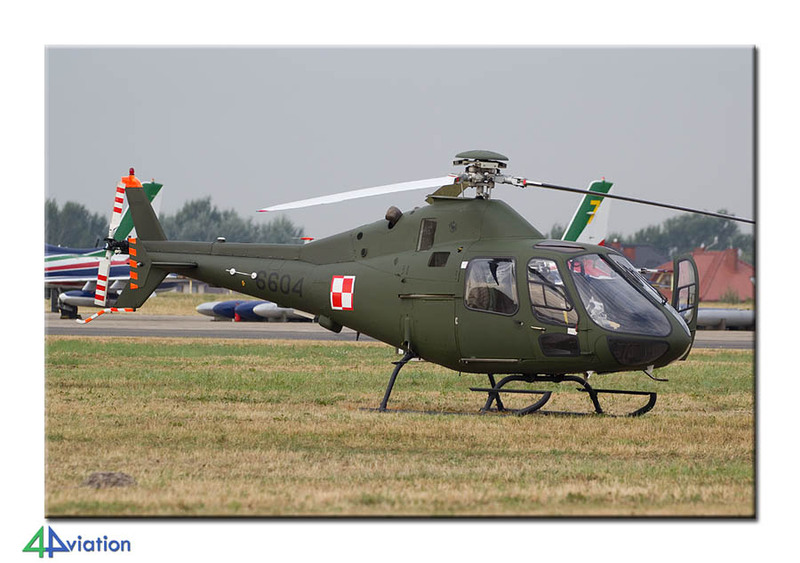 Like in 2011 and 2013 the outlook was that the Polish Air Force would be well represented and that an interesting array of visiting aircraft would be there. 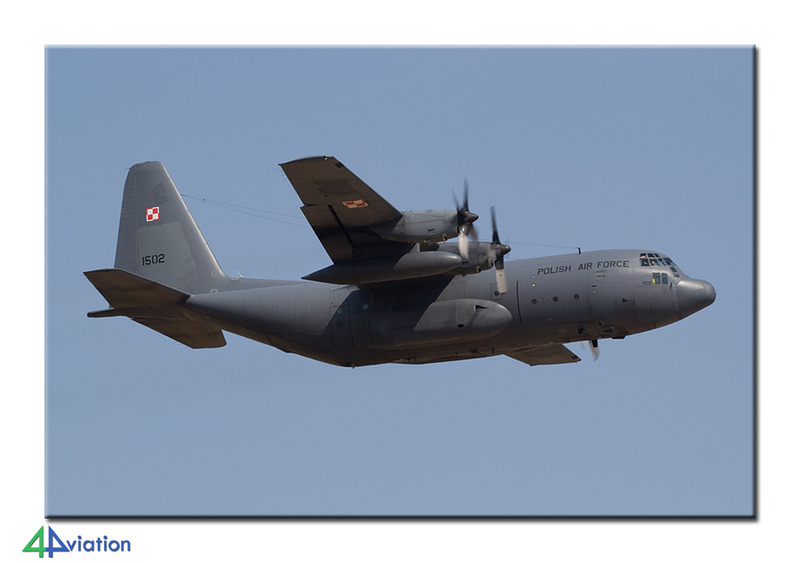 The confirmed base visit to Mińsk-Mazowiecki during the rehearsals of the fly-past completed the picture of the 2015 tour. So it happened that on 19 August a total of 23 people gathered at Schiphol on time to check in for their flight to Warsaw. After our arrival and filling in way to many papers to get hold of our three rental vans we entered the busy Polish traffic. 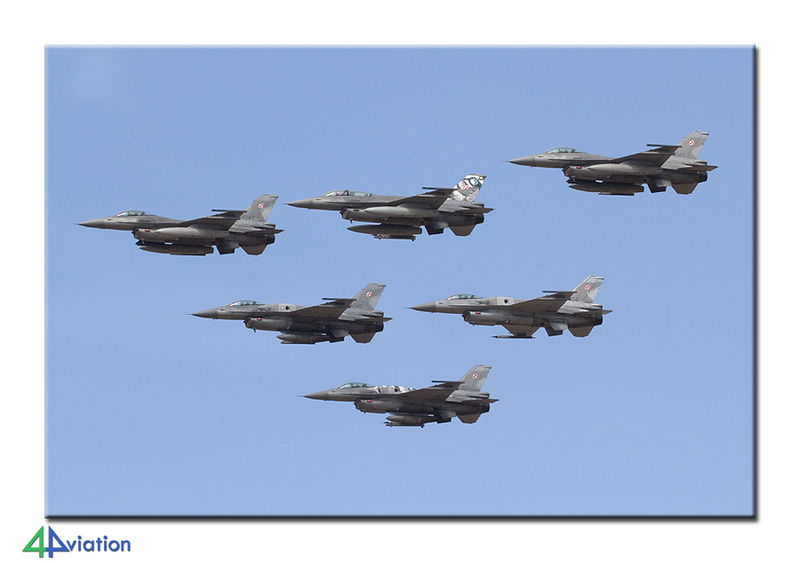 Today and Friday rehearsals would be flown for the fly-past/parade. 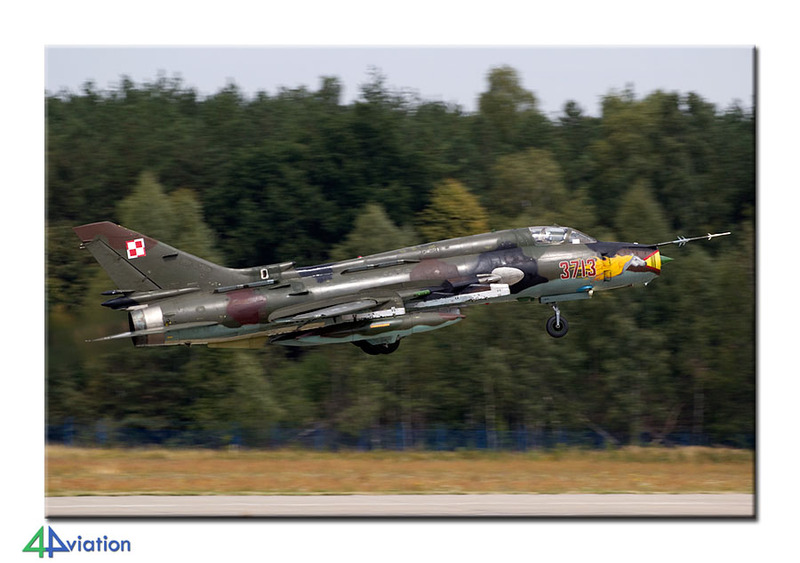 The fighters were operating from Mińsk-Mazowiecki (where our visit was scheduled for Friday) and Poznan, while the helicopters and transport aircraft would be operating from Dęblin. 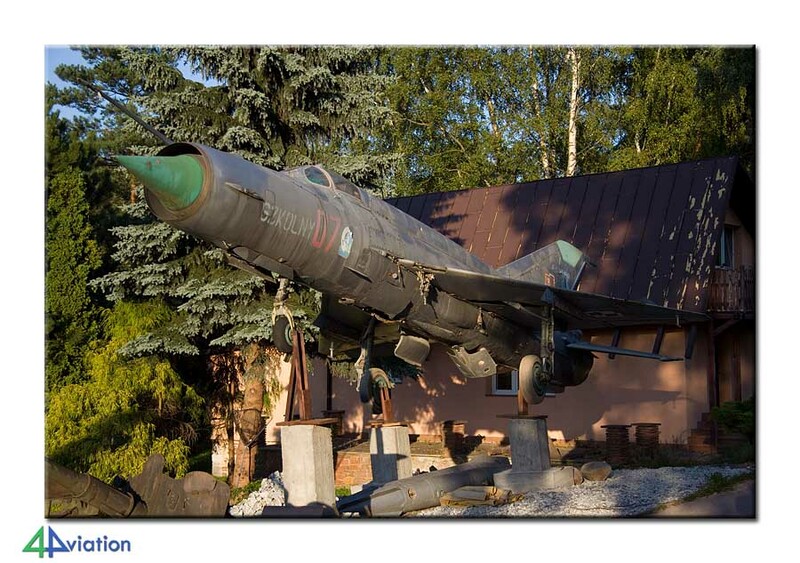 Therefore, we drove to Dęblin, hoping for some rehearsal activity and for a visit to the museum. Due to the heavy traffic we arrived at Dęblin rather late. 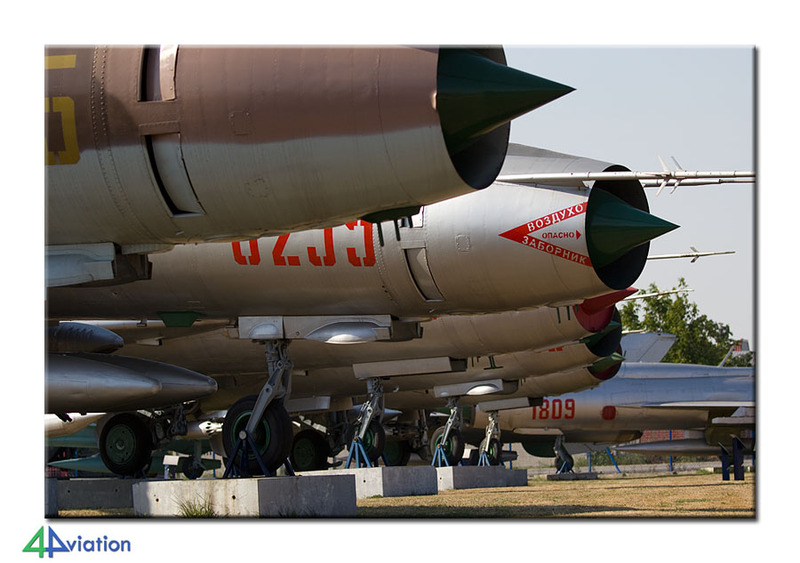 Although we did not see the participants of the parade the museum was very nice and we saw some operational bare metal TS-11s that could be photographed very nicely from the museum. After the museum closed we continued towards our hotel South of Radom (our regular location for Poland/Radom by now). On Thursday (20 August) the group would split up after breakfast (during which the cook recommended his eggs and bacon personally to everyone with lots of enthusiasm). Two vans drove to Radom for arrivals and rehearsals while the third van headed for Krakow for a visit to the Muzeum Lotnictwa Polskiego in that city and continue with some wrecks & relics on the way back to the hotel. For both groups it turned out to be a long and nice day. The arrivals and rehearsals at Radom were spread over the entire day, so there were moments to relax. The traffic situation for the group that went for the non-flying aircraft was heavy again. Friday 21 August started very early, but not without bacon and eggs. 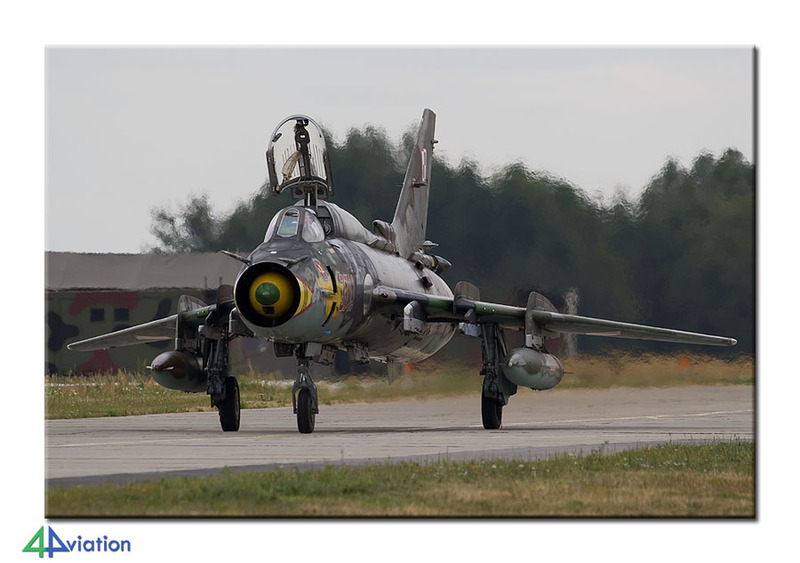 We had to be at the gate of Mińsk-Mazowiecki at 08.30 and still had some distance to cover. We arrived there on time and met other people that would be visiting today as well. The visit itself was very relaxed and to-the-point. 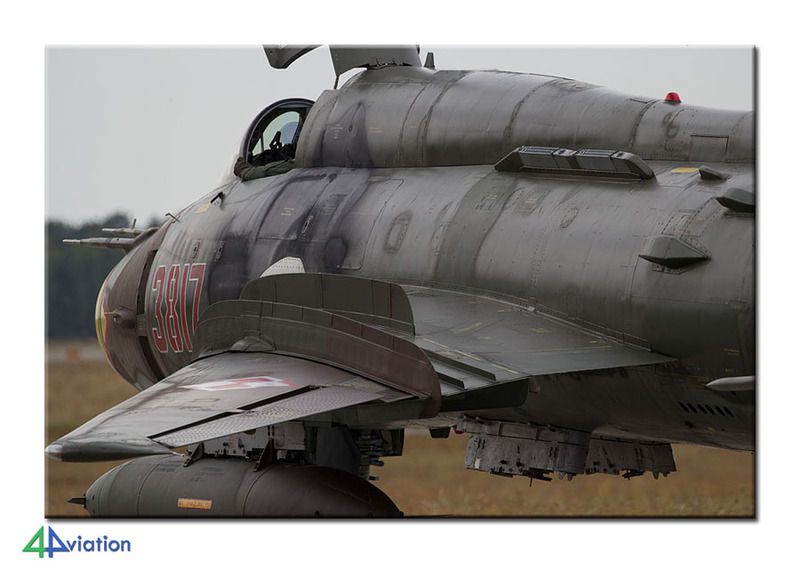 An area near the taxi-track was fenced off and the MiG-29 and Su-22s came taxying by here. 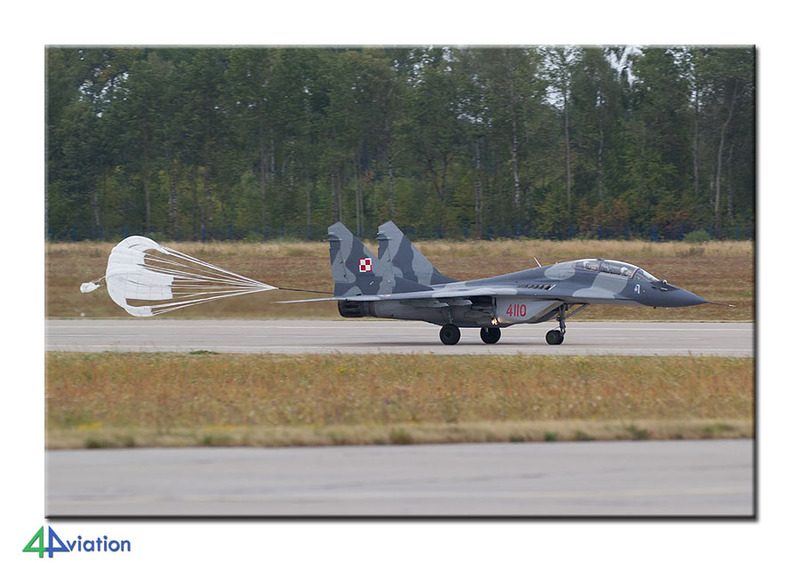 In the morning some MiG-29s flew a regular sortie. Just after midday the participants of the parade took off (6 Fulcrums and 6 Fitters). 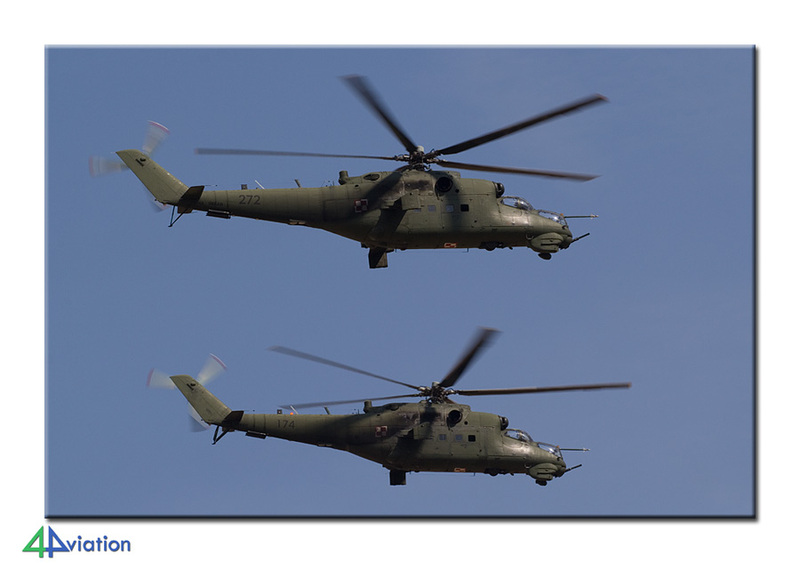 After these aircraft had landed and rolled past the visit was over. Everybody was happy since photography options were good! It was still rather early and we planned to collect some wrecks & relics on the way to the hotel. This search was not particularly successful (couldn’t find them or they had gone). Despite that is was an enjoyable evening again in the restaurant of the hotel. 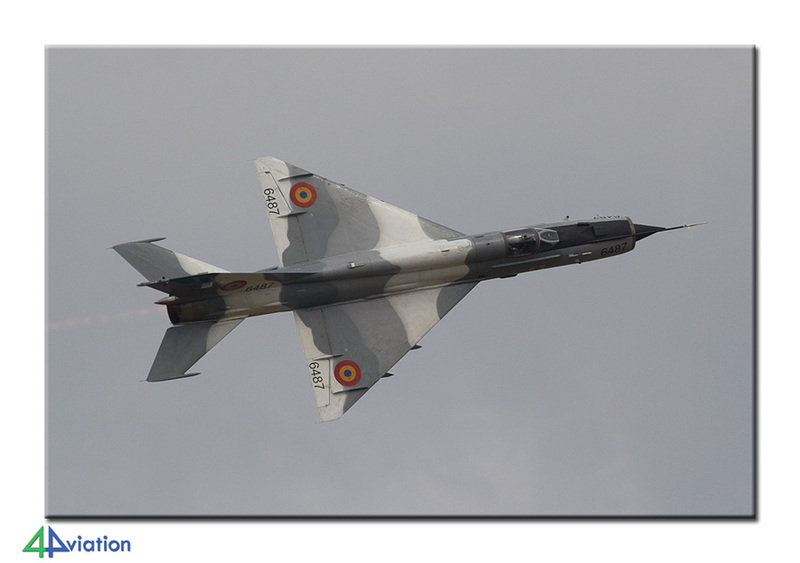 For Saturday (22 August) the actual visit to the show at Radom was scheduled. Since we wanted to park as close by as possible we were up early again today. We were able to park the three vans at a very convenient spot near the entrance and were on base enjoying the static well on time. 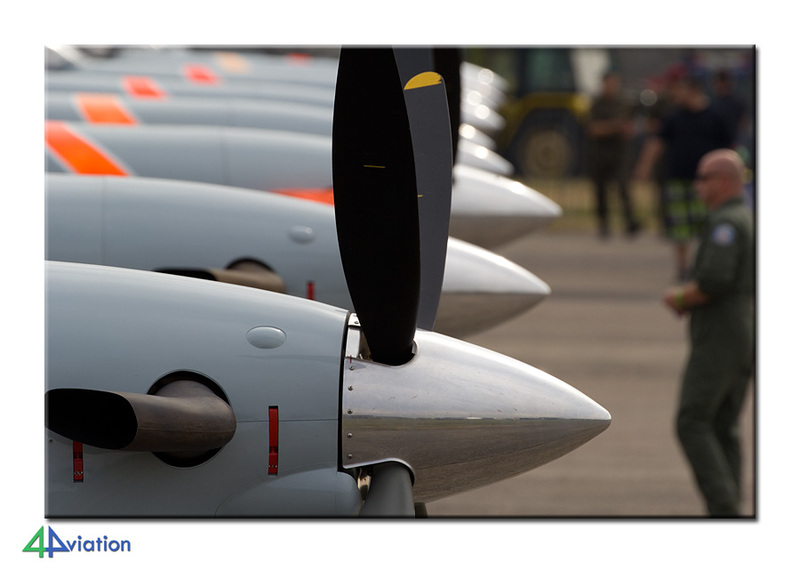 The static display was rather extensive and some of the aircraft could be captured fairly well. 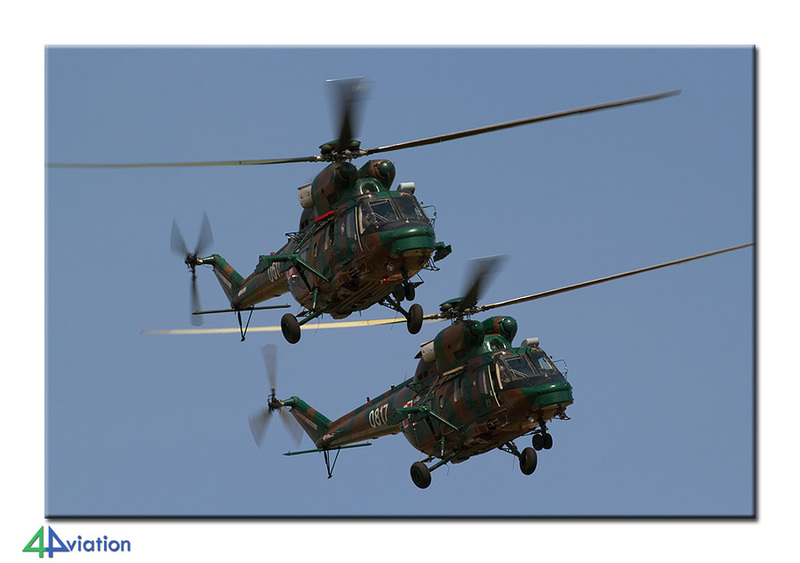 Several helicopters for the flying display were parked in such a way that photography was easy and great. 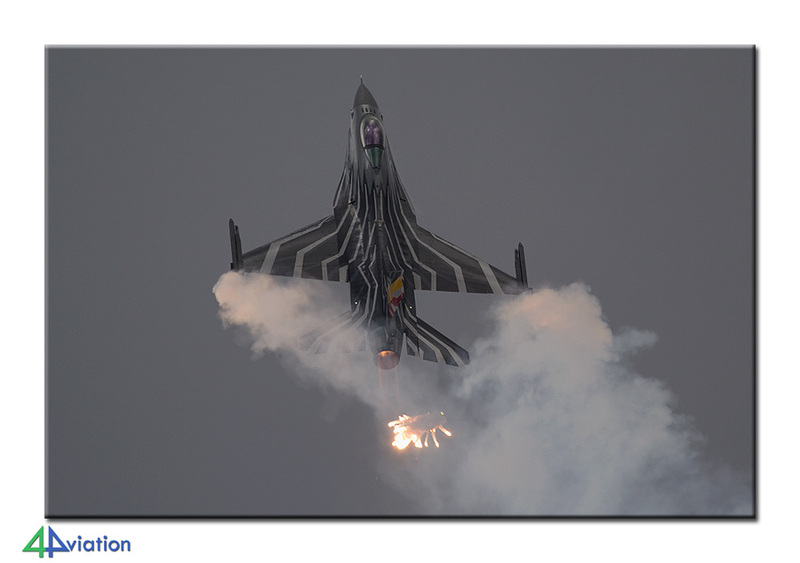 During the morning the air show consisted of elements that were less interesting for the major part of the group. 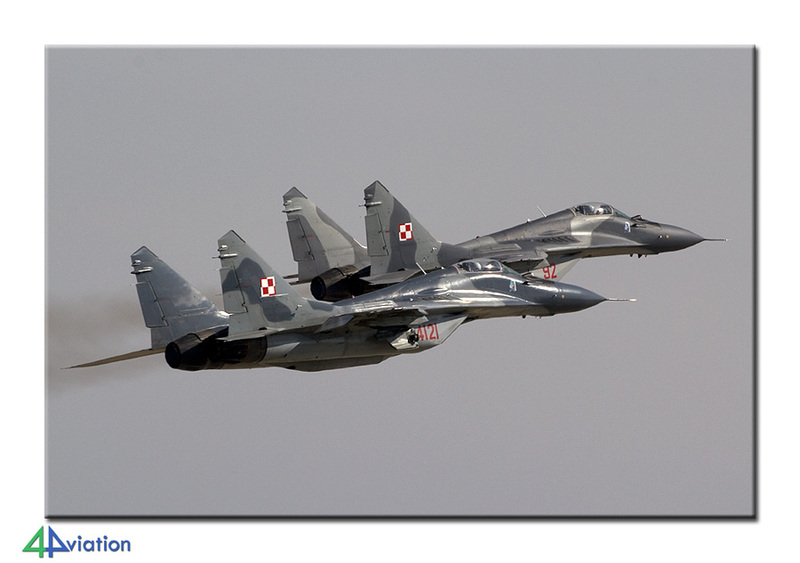 The real stuff started just after midday with the fly-past of all types of the Polish Air Force. By that time almost all of the group had walked off base and ended up on the South side of the base (outside the fence). From this spot photography is great. The sun is in your back and you are positioned at a good position with regard to the display line. Unfortunately the weather was a bit ‘troublesome’ (cloudy, rainy sometimes). Despite that it was a spectacular sight from this spot and lots and lots of photos were taken. The show lasted until late, ending only after 19.30 and kept on providing nice photo opportunities until the end. After it all ended we enjoyed the evening meal near the base before heading for the hotel. We were hoping for the traffic jams to clear up in the meantime. This is exactly what happened! Sunday 23 August was the last day of the tour. At the end of the afternoon we would fly back to Amsterdam. The original plan was to visit the show again during the morning on this day and then head for Warsaw early in the afternoon. 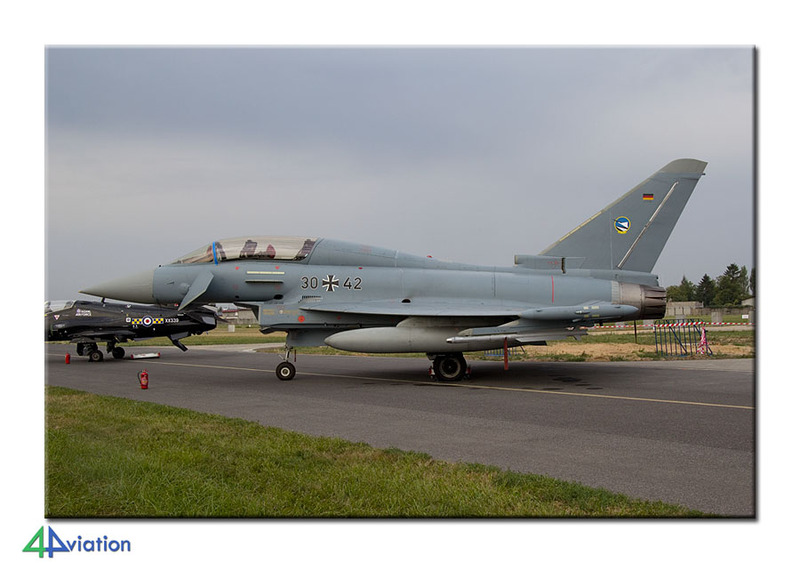 Since everybody was happy with the visit to the static area on Saturday and not much interesting would be flying in the morning there was not much applause for this option. A second visit to Dęblin did sound appealing to many though. 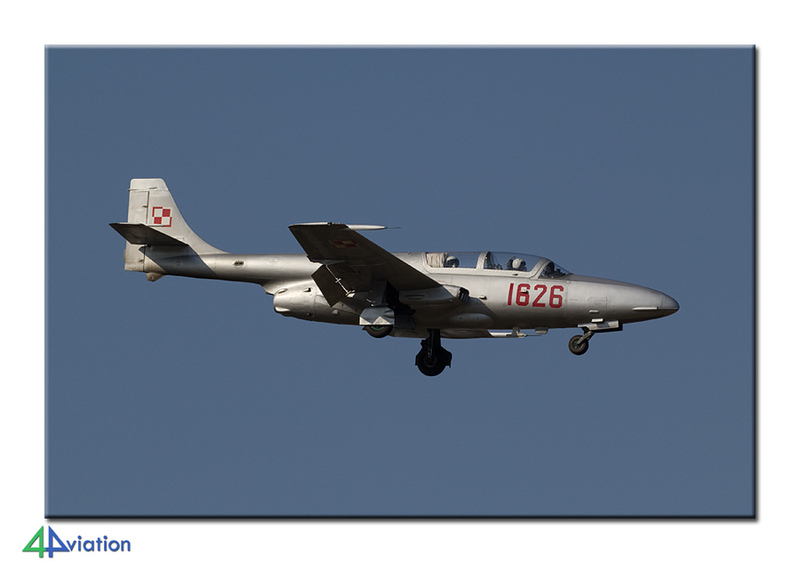 We wanted to be at Dęblin in time to capture the participants of the parade during take-off. And so we did… We managed to find a good spot in take-off and the major part of the choppers could be captured very nicely in the sun (which was shining brightly again). After the departure of the participants it was time to head for Warsaw. All went according to plan and thus we handed in the vans in time. After that our Boeing 737 managed to land at Schiphol in time and we did not have to taxi very long. 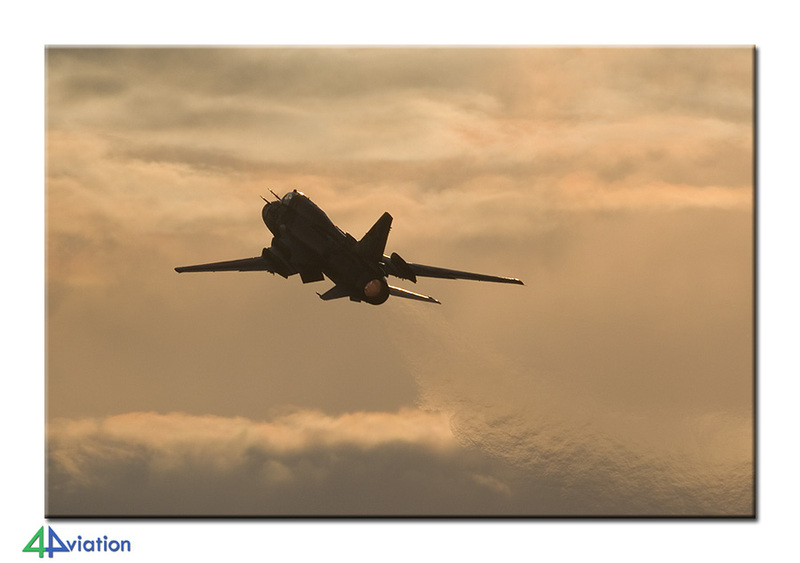 This ended yet another very nice 4Aviation tour!